What if one trading system only used an average of $30,000 in margin while the other used an average of $70,000? Theoretically, you could have funded the first account with less money and invested the remaining dollars elsewhere. So, I am suggesting that you consider viewing returns as based of off the account size required as opposed to an arbitrary number. By doing this, you can form the arrive at the best decision about the starting funding level in your account. In other words, you may trade the account as though it were a 100k account, but only put up $30,000 in trading funds because that is all you think you need. Many trading systems, money managers and CTA’s allow for such a notional funding approach. It can be an efficient use of capital. The commercial testing software Trading Recipes has an intriguing way of computing these numbers. It can run a worst-case analysis. What this does is looks at every possible start date over time (for example 10 years). If there were 1000 different trades you could have started trading from, then it (Trading Recipes) tests the trading system from every single one of those 1000 trades. It then sums the worst drawdown and the required margin starting from each one of those 1000 trades, and it goes on to show how the system performed over the next 12 months. A start trade report allows you to create a frequency distribution of yearly returns cross-referenced to the account size required. For the sake of this example, I am going to test 4 different trading systems and compare the results. 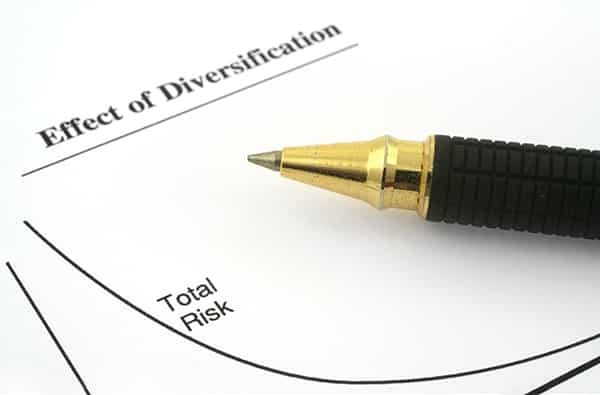 The portfolio is 15 diversified markets that are all reasonably high in liquidity. Also, I have approximated margin based on two times the 5-day average true range multiplied by the point value, and then took the average of that over a period of 5 years. I have done it this way because margins change dramatically over time. Changing margins get caused by changes in a market’s underlying volatility. Computing this way will cause the margin to rise during higher volatility periods, and decrease during lower volatility periods. This risk-adjusted method is like live margin requirements. I think this is far more robust than to use the current margin values because past margin was likely different. Even though these may not be the exact margin amounts the above formula does seem to be close to the current margin levels in many commodities. You could always use a higher multiple if you wanted a greater “cushion.” I am showing you this for demonstration purposes; you need to decide the best way to simulate the past and future margins in your testing. It would be terrific if data vendors like CSI sold data files for trading systems with the exact exchange minimum margin requirements throughout history, although I have not seen it. Money Management: Risk 2% of equity a trade or one contract if the risk is less than $3000 (whichever is greater). In the first test, we will use a Channel Breakout System similar to the “Turtle” method of trading. Specifically, this system buys at the highest price of the last 20 days and sells at the lowest price of the last 20 days. It then exits at the lowest price of the last 10 days for long positions and the highest price of the last 10 days for short positions. Risk computations are as a multiple of average true range, and protective stops get placed at those same levels. Here, you can see an intriguing phenomenon. The average first-year profits for the Channel Breakout (20/10) were almost the same as Checkmate. The average required account size for Checkmate was less than half. Similarly, the average first-year profits for Channel Breakout (50/20) were almost the same as Synergy. The average required account size for Synergy was again about half. Information like this can be valuable for somebody who wants to fund an account notionally. If nothing else, it is an eye-opening perspective of how two trading systems can produce almost the same profit in a year given the same account size and money management, yet one of those trading systems can boast a much lower historically required account size. A reversal system or a short-term system like the (20/10) Channel Breakout will likely have higher requirements because of greater numbers of simultaneous trades. We have done these tests on many other trading systems. If you would like to see those reports, or if you would like the complete spreadsheet reports used in generating these tables, please contact us.